Our new wall mount faux taxidermy is ready to order. Here is the third model we made recently after the Wolf and the boar. The model is hollow, light and durable, equipped with screw hole on the back for mounting the model on the wall. 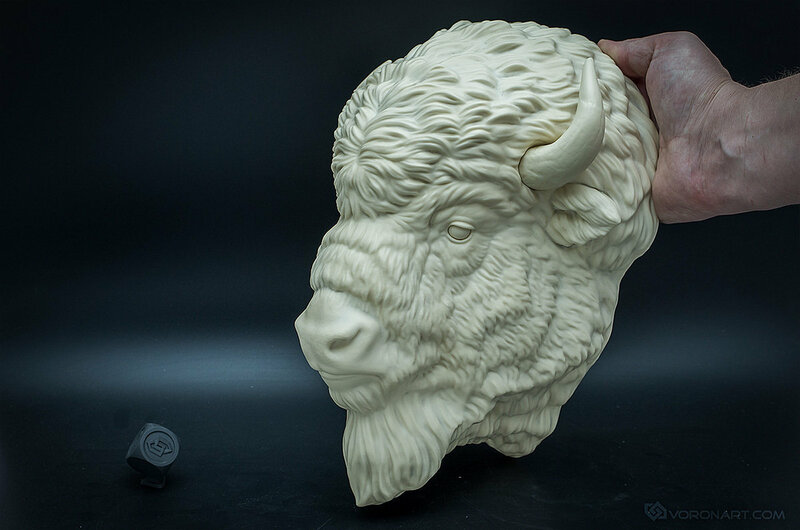 We would like to present our Bison head in several colors. Coloring pigments were used, no paints. So the model is thinwalled and colored throughout the entire wall thickness. You also can decorate your office, house, room or public institution with this wall mounted animal head. 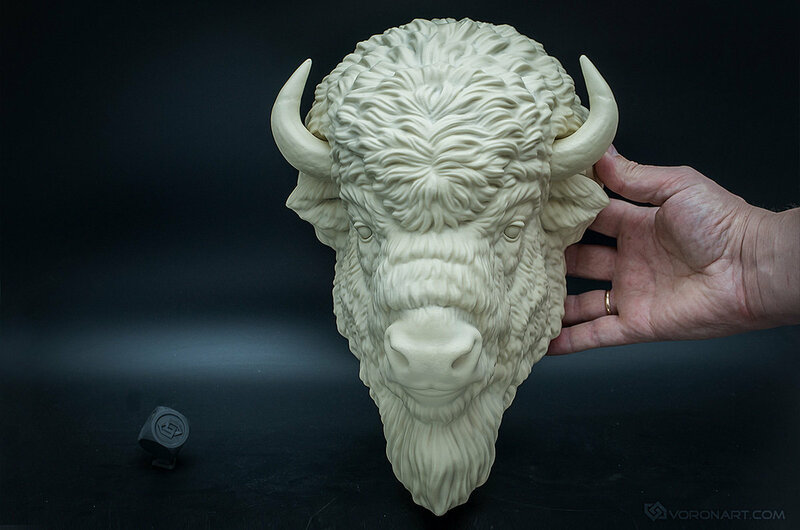 This animal sculpturel was based on photographs of a wild american bison. Material: Urethane resin. (strong and durable). Color: Just select one of color options. "Antique Bronze" (hand painted) option also available. Our products are covered with UV resistant varnish. You also can use the wolf head as is or decorate it with acrylic paints.